Trading in Russia's largest stock market was interrupted Wednesday for nearly two hours due to an apparent software glitch. The halt occurred at 4 p.m. local time in Moscow, three hours before the normal close. Trading resumed at 5:50 p.m. local time and the exchange pushed back the closing bell by 30 minutes. After investigating the issue, the MICEX exchange blamed it on a "software malfunction" that impacted the systems of the equity and bond markets. The exchange said a fund transfer transaction resulted in a "discrepancy in the state of several components of the trading system," making it impossible to operate the trading and clearing system. 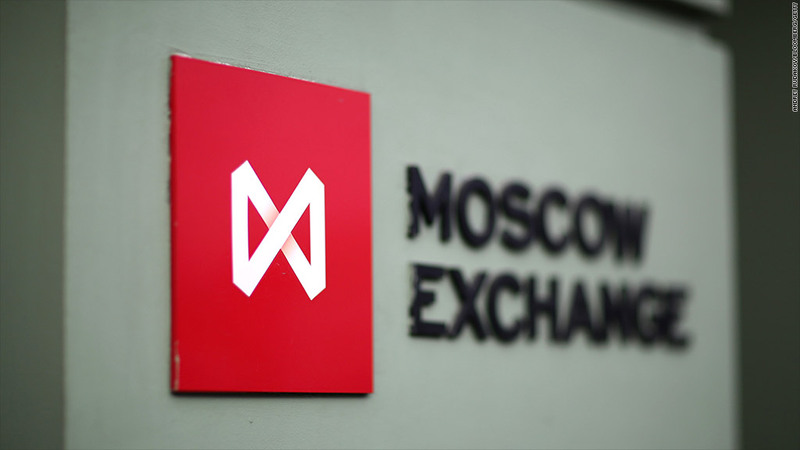 MICEX said the trading and clearing of its foreign exchange and derivatives markets was not impacted by the glitch. The trading issues come at a delicate time, after the U.S. and European Union slapped Russia with another round of sanctions this week tied to the standoff with Ukraine. The new sanctions target Russia's finance, energy and weapons industries, as well as eight of Russian President Vladimir Putin's "cronies." But Russian stocks reacted positively to the sanctions announcement, since they weren't as tough as investors had feared. The MICEX had been up nearly 2% before trading was interrupted. The index trimmed its gains following the halt, closing just 0.9% in the green.